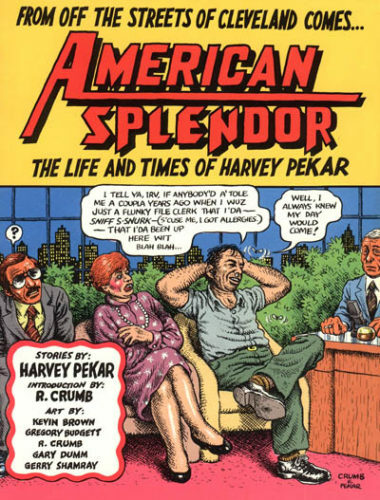 Some people might say that Harvey Pekar has lived a life right out of a comic book. And they’d be right, except that the comic book is one he wrote himself. Since the early seventies, Harvey has published stories taken from his own life. Though he himself has no drawing ability, this slightly grouchy file clerk enlists giants in cartooning, including Robert Crumb, to illustrate, and gained a sizable following that can’t get enough of his extraordinary tales of ordinary life. Even though his work had won an American Book Award, sparked stage adaptations, and earned him appearances on Letterman, Harvey preferred to keep his day job. For thirty-five years, he worked at a Cleveland VA Hospital, finally retiring in 2001. Appropriately enough, it’s a scene captured in the film adaptation of his life. Still, Harvey loved collecting, and his interests turned to jazz. Through that obsession, he began writing as a critic in 1959, and among his fellow fans was a young Robert Crumb. As a result of his friend’s work in underground comics, Harvey says, he started to see the possibilities. But it took Harvey some time to decide just what he wanted to do. “I theorized for maybe ten years about doing comics,” he says. Finally, he laid out some stories with crude stick figures and showed them to Crumb and another artist, Robert Armstrong. Impressed, they both offered to illustrate, and soon Pekar’s story “Crazy Ed” appeared in Crumb’s The People’s Comics. The popularity of his work grew to the point that Harvey felt confident launching his own book. In 1976, he self-published the first issue of American Splendor, filled with stories of his day-to-day existence and takes on his co-workers. Despite some unflattering portrayals, nobody took offense, nor tried to change his views of them. As for the main character, an often cantankerous version of Harvey, he only hopes that nobody would confuse the comic book with the man. “I would think he’d think I’m pretty similar, though,” he reluctantly admits. Though he often lost money publishing American Splendor, the book brought him other rewards. A fan and comic book writer herself, Joyce Brabner, contacted Harvey in 1983. Within two days of meeting face to face, they married. Eventually Harvey tired of doing everything himself. 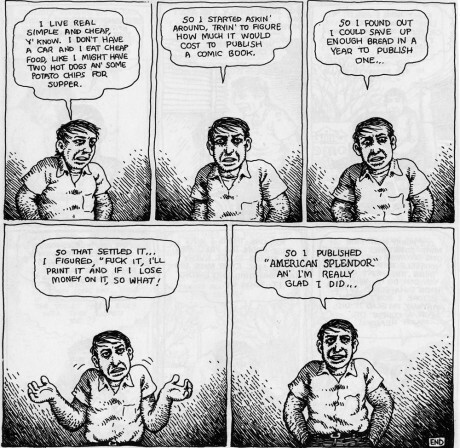 Since 1992, Dark Horse Comics has taken care of production on American Splendor. Though she loves her participation on the book, Schutz admits that self-described obsessive compulsive Harvey leaves her little to do. 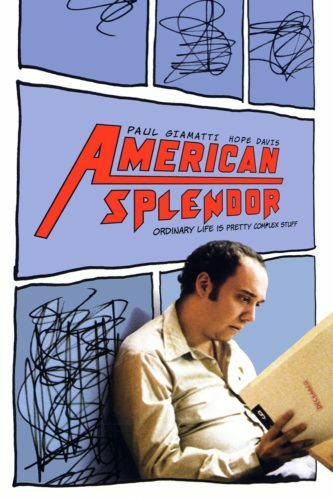 So is American Splendor that huge a force in the marketplace? With the release of the film, which won awards at both Sundance and Cannes, that core group may grow larger, and be eager to celebrate this unassuming retiree. The actual attention, however, keeps Harvey from doing what he loves best. And retiring from the VA doesn’t mean that he will rest on his laurels. Promoting the film, however, has interfered with his plans.